Been meaning to post about this for a while, then I forgot about it until a recent video went viral of a rather angry man tying to chase a cyclist and trips over, who confronts him about his ‘little too close’ passing manoeuvre. What you can see in the photographs is a Shell tanker overtaking me, then start to close in on me. The first photo shows the tanker a little more than half-way in his overtaking of me, but already starting to close back in far too soon. You can see my my biking buddy in the distance. 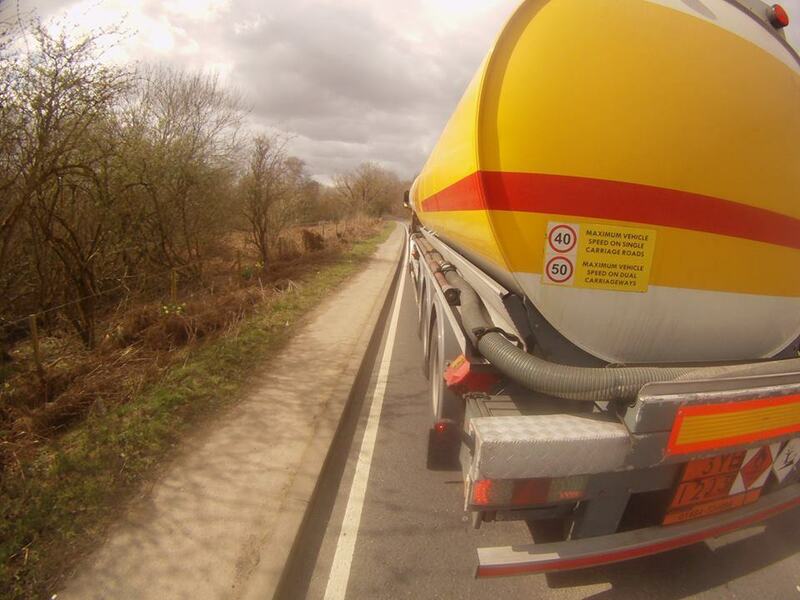 At this point I had already been forced to come dangerously close to the kerb, but when you see the second photograph you’ll see that I simply had no ‘wiggle’ room as the back of the Shell tanker drew up along side me and continued to close the space in front of me. 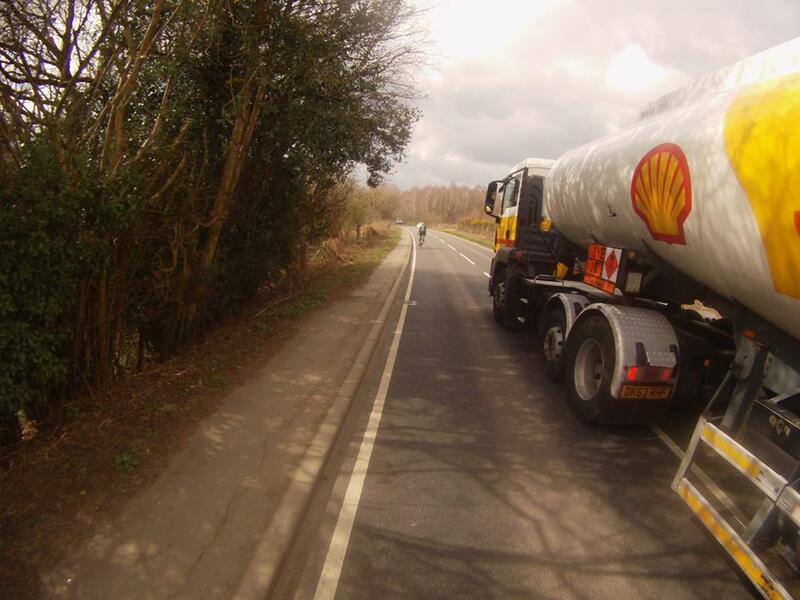 The second photograph simply shows how I so very nearly got sandwiched between the Shell tanker and the kerb, not to mention being clipped by the rear light and significantly sharp and heavy bumper fixtures. The driver had basically started to overtake when an oncoming car meant the driver had to steer back over very quickly, leaving me just a few inches to keep the bike steady from the significant blast of air and noise. This is one of a few times where I’ve literally feared for my life: being sideswiped off on a busy main road. Fortunately I often do take a helmet mounted camera, and on this occasion had it set-up to take photographic stills every few seconds.